Why Do I Need Landscaping? Why do we need landscaping? One tree removes 26 pounds of carbon dioxide from the air every year and releases about 13 pounds of oxygen-enough for a family of four on a daily basis. Plants reduce noise pollution up to 50 percent. Plants creates green space for human rest & recreation. We often have a “do it and forget it” mentality. Once a task is completed, we do not give it a second thought. Instead, we move onto whatever is next in line. That attitude may work in some areas, but it certainly is not appropriate for the care and nurturing of your property’s landscape.Great landscaping does not stem exclusively from those days of planning and planting. Your property is a growing, living thing. You can set something beautiful into motion, but in order to get the most out of your landscaping plans, you will need to conduct regular maintenance. You will need to address the yard’s needs and to be proactive in order to prevent the development of problems that could completely derail your plans. Begin the overall planning of landscaping area by taking a walk around your place and the courtyard with a pencil in hand. Take an inventory of what you have, what you would like to keep, what you would like to add and what you would like to eliminate.Avoiding large expanses of lawn can reduce maintenance. 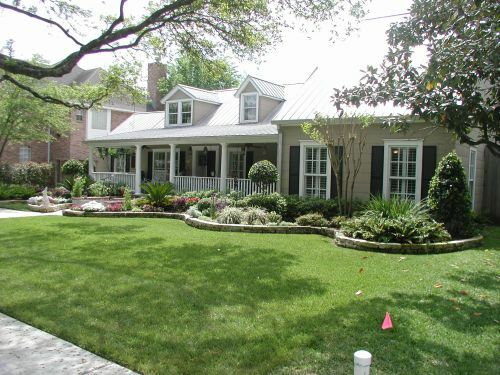 If you do not need a large lawn area, select ground cover or other plants that do not need continual trimming or cutting. Paving, broken up with small areas of plants, is another way to reduce lawn area.Making an overall plan that identifies all of the paving or thecarpentry needs, so that they can be accomplished at one time, willsame money. You may also get discounts by buying all your plants atone time.The biggest savings in cost come through proper planning. Planningshouldn’t be done in a hurry. Proper planning may require that severalweekends be spent looking through literature, looking at other yardsand public gardens, drawing up the plan, and then giving it a trial test. 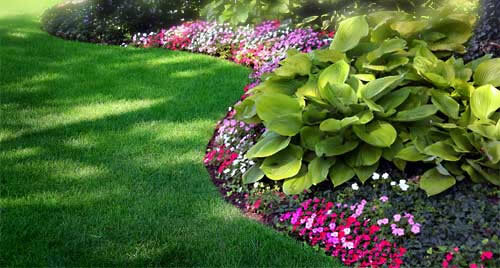 Fertilization is a perfect example of maintenance for landscapes. It isone of those regular things that you simply cannot afford to neglect.Every year, as the end of autumn approaches, you should apply afinal dose of fertilizer to your grass. The lawn will absorb those nutrientsand they will help to keep it strong, healthy throughout the winter, andready to explode into growth when things warm up again. If your lawn is smothered in any location, it can do a great deal ofharm. Before the really cold weather sits in, walk your property andcarefully remove any debris from the lawn. Things like tree branches,logs, your children’s toys or that shovel you have been meaning to putback into the garage can do serious damage if left in place throughthe winter. Smothered grass is less disease resilient and may even diecompletely. You certainly do not want to usher in spring with a brownring in the middle of the yard! If you simply “let things go,” you run the risk of undoing all of your hardwork and encountering disappointing results. Last year’s landscapingaccomplishment can become next year’s embarrassment if maintenance is not taken seriously.Remember, you landscape is not a pretty picture that, once painted, remains in place forever. It is a constantly growing and changingcollection of living things. It is, in many ways, an organism unto itself. Inorder to nurture it effectively, you will need to revisit it frequently. That iswhat maintenance is really all about. Landscaping lighting is a wonderful way to add color and appeal to your home after dark. Most of these lights are very easy to install and operate on a low amount of electricity, with some even using solar power. Landscaping lights can be purchased at most homeimprovement stores as well as on the internet. They are available in many shapes, colors, and sizes. The prices vary depending on whatyou are in the market for. With so many options, you are sure to findexactly what you are searching for. This term can refer to any solid materials you use in landscaping at all.From the borders you use for your boxes to stone paths that line your lawn as well as the rocks .Even fences, gates, arbors, and gazeboscan fall under the title of hardscaping quite accurately.